We’re excited that on this episode of The Check-In, we’re joined by Andie Weese, Marketing and Communications Coordinator for TechSpace. We invited Andie on the show so that she could share about the great work they’re doing to support innovative companies in the Burlington, ON, Canada community (and beyond), but also to explain how they’re using The Receptionist in-house to meet their unique needs. Visitors to TechPlace utilize office space, meeting rooms, and programming, generally free of charge, as part of being endorsed by one of TechPlace’s referral partners. 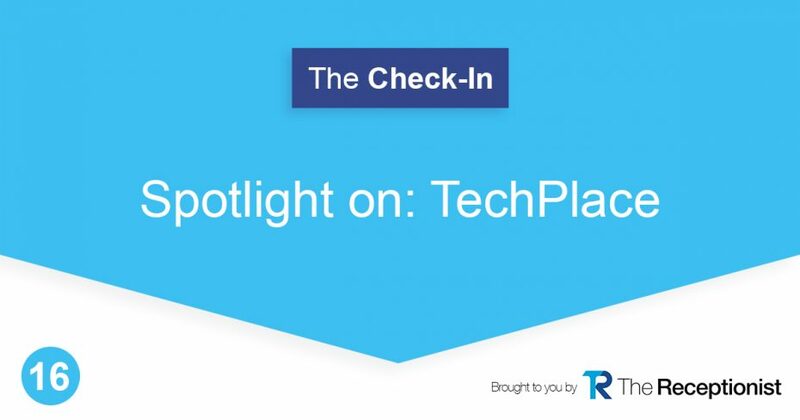 But, it’s still important that their visits are tracked so that Andie and her team can understand what’s going on at TechPlace and report about usage and growth trends. Before The Receptionist entered the picture, manual tracking via a spreadsheet, and occasional use of a survey tool kept Andie and one other team member very busy- it wasn’t a great use of time, but she hadn’t found a resource that fit her needs. Andie had a wishlist for what she wanted in a visitor management system and nothing checked all of the boxes until she found The Receptionist. Once she realized that our product is highly customizable and very user-friendly, she was sold. It didn’t take her very long to roll out using The Receptionist to TechPlace’s staff or visitors, which is a big plus in her book. Now, monthly analytics are easy, and on a daily basis, they can easily monitor who’s using TechPlace and what they’re there for.